James Dean Waite (born April 15, 1969) is a Canadian professional ice hockey coach and former goaltender. He currently serves as the goaltending coach for the Chicago Blackhawks. In ice hockey, the goaltender or goalie or goalkeeper is the player responsible for preventing the hockey puck from entering their team's net, thus preventing the opposing team from scoring. The goaltender usually plays in or near the area in front of the net called the goal crease. Goaltenders tend to stay at or beyond the top of the crease to cut down on the angle of shots. In today's age of goaltending there are two common styles, butterfly and hybrid. Because of the power of shots, the goaltender wears special equipment designed to protect the body from direct impact. The goalie is one of the most valuable players on the ice, as their performance can greatly change the outcome or score of the game. One-on-one situations, such as breakaways and shootouts, have the tendency to highlight a goaltender's pure skill, or lack thereof. No more than one goaltender is allowed to be on the ice for each team at any given time. Teams are not required to use a goaltender and may instead opt to play with an additional skater, but the defensive disadvantage this poses generally means that the strategy is only used as a desperation maneuver when trailing late in a game or can be used if the opposing team has a delayed penalty. 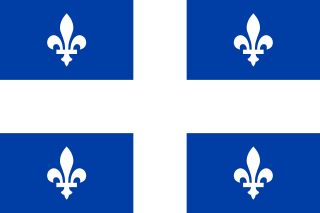 Sherbrooke is a city in southern Quebec, Canada. Sherbrooke is situated at the confluence of the Saint-François and Magog rivers in the heart of the Estrie administrative region. Sherbrooke is also the name of a territory equivalent to a regional county municipality (TE) and census division (CD) of Quebec, coextensive with the city of Sherbrooke. With 161,323 residents at the 2016 census, Sherbrooke was the sixth largest city in the province of Quebec and the thirtieth largest in Canada. The Sherbrooke Census Metropolitan Area had 212,105 inhabitants, making it the fourth largest metropolitan area in Quebec and nineteenth largest in Canada. The 1988 World Junior Ice Hockey Championships was the 12th edition of the World Junior Ice Hockey Championships and was held in Moscow, Soviet Union. 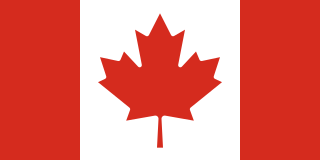 Canada and the Soviet Union won the gold and silver medals respectively as the two nations redeemed themselves following their mutual disqualification in the 1987 tournament as a result of the Punch-up in Piestany. Finland won the bronze medal. 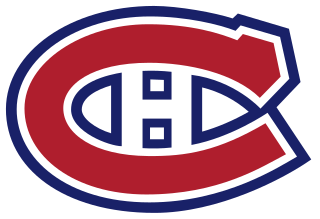 The Montreal Canadiens are a professional ice hockey team based in Montreal, Quebec. They are members of the Atlantic Division of the Eastern Conference of the National Hockey League (NHL). Marc Bergevin is a Canadian professional ice hockey executive and former player. He is currently the general manager of the Montreal Canadiens of the National Hockey League (NHL). Bergevin played as a defenceman in the NHL. Eric Guy Chouinard is an American-born Canadian former professional ice hockey player who played in the National Hockey League (NHL) with the Montreal Canadiens, Philadelphia Flyers and Minnesota Wild. Cristobal Huet is a French-Swiss former professional ice hockey goaltender who is currently an assistant coach of Lausanne HC of the National League (NL). He previously played for HC Lugano and HC Fribourg-Gottéron and within the Chicago Blackhawks, Los Angeles Kings, Montreal Canadiens, and Washington Capitals organizations in the National Hockey League (NHL). He is the first French netminder and second French-trained player overall to play in the NHL. Huet won the Stanley Cup with the Chicago Blackhawks during the 2009–10 NHL season, and became the first Frenchman to win the Stanley Cup as a player. Joseph Regis Jocelyn Thibault is a Canadian retired professional ice hockey goaltender who played 14 seasons in the National Hockey League (NHL) for the Quebec Nordiques, Colorado Avalanche, Montreal Canadiens, Chicago Blackhawks, Pittsburgh Penguins and Buffalo Sabres. Thibault was born in Montreal, Quebec, but grew up in Laval, Quebec. Joseph Romeo Steve Penney is a Canadian retired professional ice hockey goaltender. Penney played with the Montreal Canadiens and original Winnipeg Jets of the National Hockey League. Kay Whitmore, Jr. is a Canadian former ice hockey goaltender. Joseph Pierre Stéphane Robidas is a Canadian former professional ice hockey defenceman who currently works as director of player development for the Toronto Maple Leafs. Murray Bannerman is a Canadian retired ice hockey goaltender. He spent the majority of his career with the Chicago Blackhawks, though also briefly played for the Vancouver Canucks, who selected him in the 1977 NHL Amateur Draft. Joseph Emelien Patrick Poulin is a retired professional ice hockey player who played 634 games in the National Hockey League between 1991 and 2002. John David Chabot is a Canadian retired professional ice hockey player and coach. Réjean M. "Reggie" Lemelin is a former National Hockey League goaltender. He was drafted by the Philadelphia Flyers in the seventh round, 125th overall, in the 1974 NHL Amateur Draft. He was also selected by the Chicago Cougars in the 1974 WHA Amateur Draft; however, he never played in the WHA, due to an argument with management. Vincent Joseph Riendeau is a Canadian retired professional ice hockey goaltender. During his time in the National Hockey League, Riendeau played for the Montreal Canadiens, St. Louis Blues, Detroit Red Wings, and the Boston Bruins. Riendeau holds the distinction of being the first Canadian and former NHL player to sign with a professional hockey team in the Russian Superleague. He currently acts as the director of goalie development for the Canadiens. Stéphane Beauregard is a Canadian former professional ice hockey goaltender who played five seasons in the National Hockey League (NHL) for the Winnipeg Jets and Philadelphia Flyers. Alain Guy Chevrier is a Canadian retired ice hockey goaltender. Joseph Jean Pierre Hamel is a retired professional ice hockey player who played 699 games over 12 seasons in the National Hockey League. He played for the St. Louis Blues, Detroit Red Wings, Quebec Nordiques, and Montreal Canadiens. Jean is the brother of Gilles Hamel. Olivier Léo Patrick Alexandre Michaud is a Canadian retired professional ice hockey goaltender. Pascal Rhéaume is a Canadian former professional ice hockey player who played in the National Hockey League. He is currently the Head Coach of the Val-d'Or Foreurs of the Quebec Major Junior Hockey League. He is the younger brother of Manon Rhéaume, the first woman to appear in an NHL preseason game. His daughter, Logane joined the Montreal Carabins women's ice hockey program in the autumn of 2016. Phillip Danault is a Canadian professional ice hockey forward who is currently playing for the Montreal Canadiens of the National Hockey League (NHL). ↑ "Pee-Wee players who have reached NHL or WHA" (PDF). Quebec International Pee-Wee Hockey Tournament. 2018. Retrieved 2019-01-17. ↑ Jimmy Waite: "Meine ganze Familie ist enttäuscht"
↑ "Canadiens hire Stephane Waite away from Blackhawks to be goaltending coach". NHL.com. 2013-07-04. Retrieved 2016-12-04.